BUCKLEY AIR FORCE BASE, Colo. — The U.S. Air Force is celebrating its 70th anniversary this year with the theme of Breaking Barriers, highlighting how far it’s come since 1947. Although every aspect of the USAF has been improved over that time, there are still no signs of slowing down. 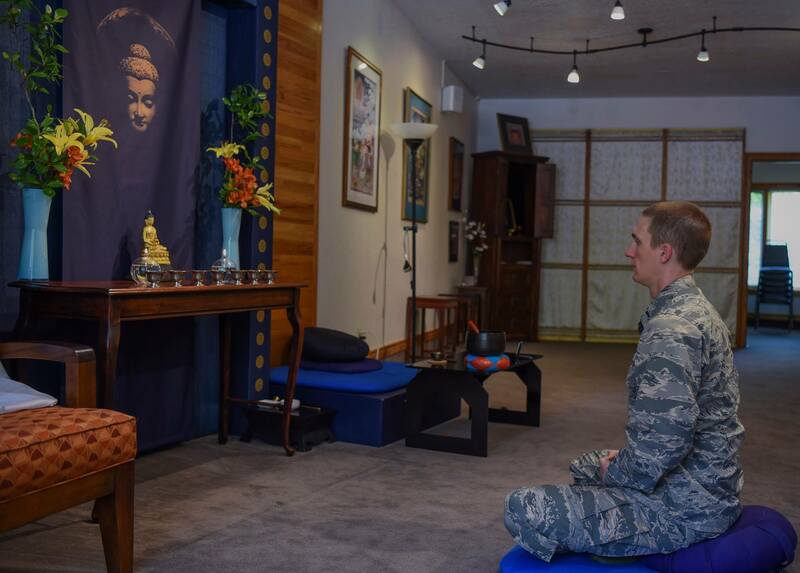 In fact, Chaplain (1st Lt.) Brett Campbell, 460th Space Wing Buddhist chaplain, broke a barrier just this year by becoming the Air Force’s first and only Buddhist Chaplain. Born in a small town in Iowa, Campbell was raised as a devout Catholic for the majority of his life. It wasn’t until college that he discovered Buddhism. After graduating from Iowa State University, his interest in Buddhism continued to grow and he eventually decided to make a career out of it. When I was applying for graduate school, I started to look into what chaplaincy really was and what exactly they do, said Campbell. Actually, that’s when I decided to join the Air Force; the military aspect of chaplaincy really stuck out to me. Brand new to the military and not completely finished with his schooling yet, Chaplain Campbell is excited and ready to start his services. Campbell would like to make it clear that just because he’s a Buddhist chaplain, and will host Buddhist meetings, anyone and everyone is welcome to attend. Although his services haven’t started, Team Buckley has already been very welcoming to him. 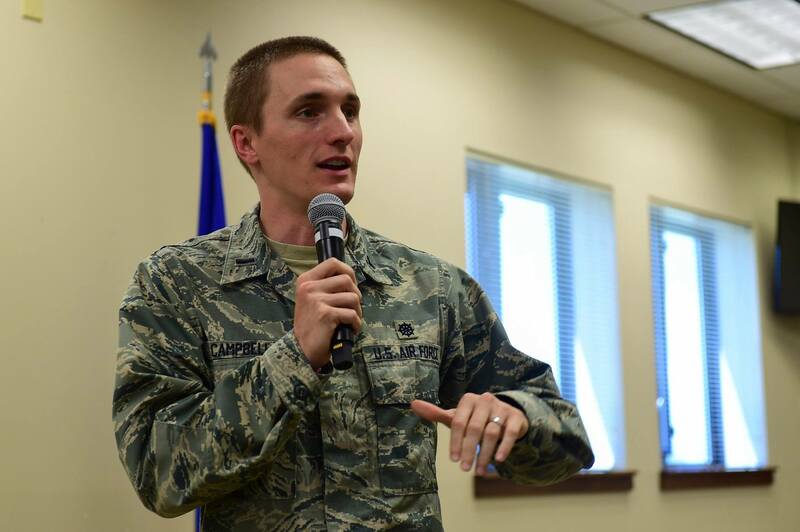 Chaplain Ward and the chaplain team on Buckley Air Force Base are excited to have him join the team. With only a few months of training left, Campbell is motivated to assist as many people as possible in any way he can. Text from the Buckley Air Force Base website news page. Photos from the Air Force Chaplaincy Facebook page.